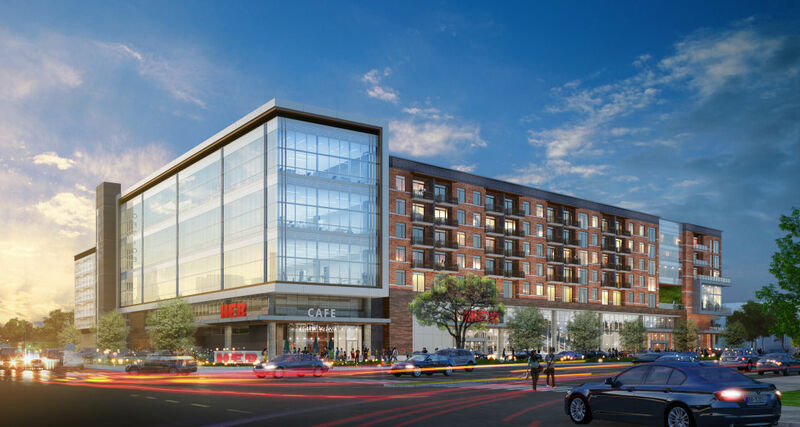 A local developer has broken ground on a high-profile new development that will replace what was a large tract of apartments on Washington Avenue with an updated mixed-use development and a "new urban prototype" H-E-B. Russell and Glenda Gordy, whose holdings include oil and gas interests and ranch land as well as real estate, purchased the Memorial Heights apartment complex in 2014. Midway, the developers behind CityCentre, have been tapped by the Gordys to build the new development, dubbed Buffalo Heights District. 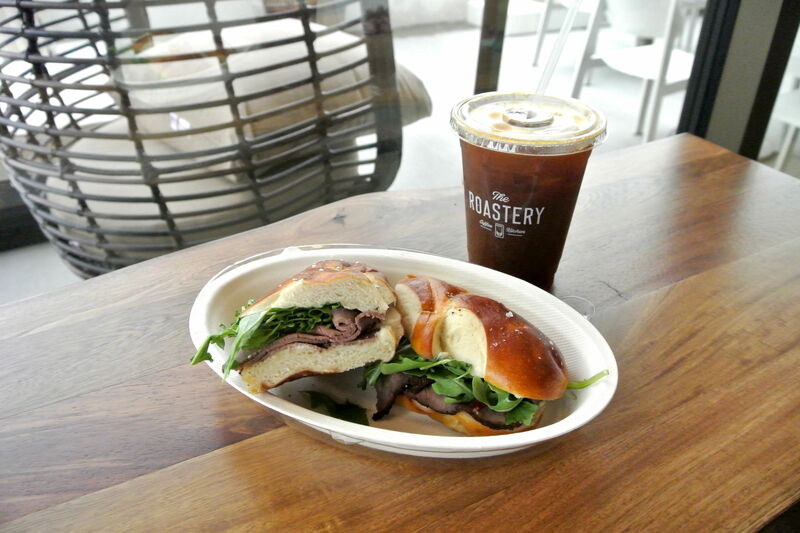 The first phase of the Buffalo Heights District. 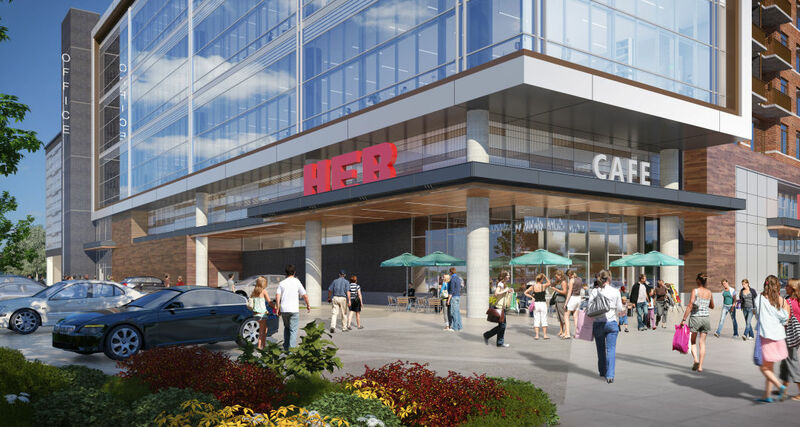 The first phase, which broke ground Tuesday, will include 230 apartments, three floors of boutique office space, and a ground-floor H-E-B with second-floor parking, a new concept for the store. The seven-story development will be situated between Heights Boulevard and Studemont, just south of I-10. 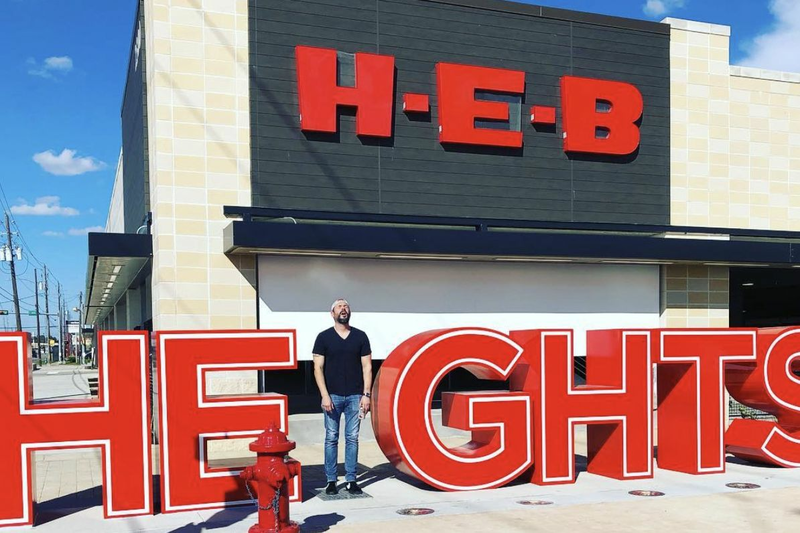 The 96,000-square-foot H-E-B will be larger than the Montrose store, and will include a walk-up cafe and coffee bar. 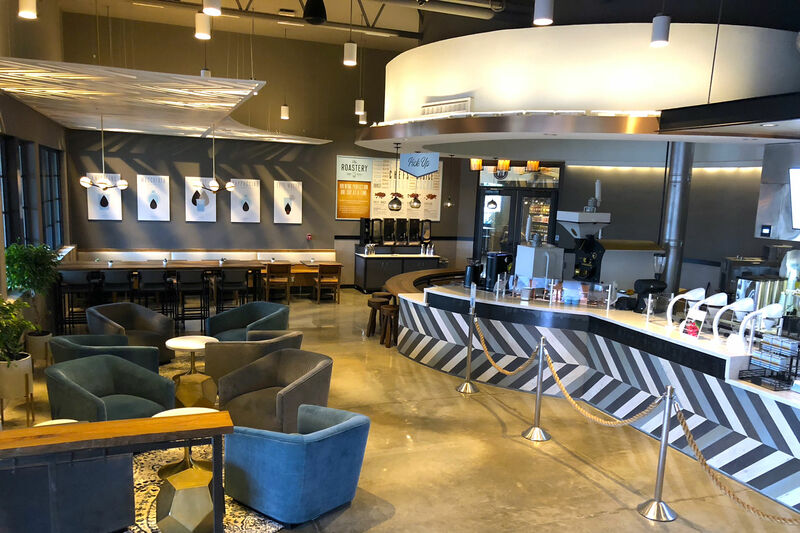 "You'll see things like a poke bar, a coffee bar, pizza, different things we haven't tried in other stores that we think will appeal to the urban shopper," Scott McClelland, H-E-B's Houston president, told the Chronicle's Nancy Sarnoff late last year. The development should be completed in the spring of 2019. 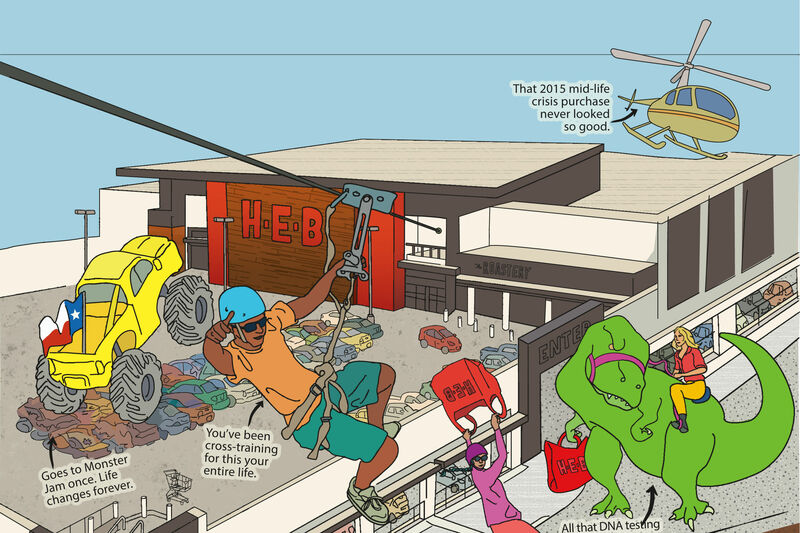 H-E-B is also planning another Heights store, in the formerly dry zone on Shepherd Drive. That store, in the location of a former Fiesta Mart, is on track to be a two-story concept.